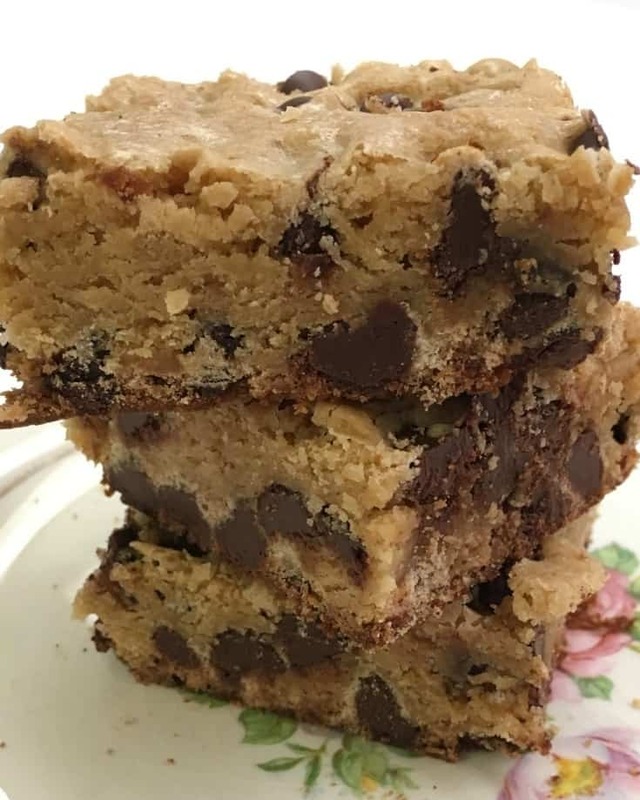 Homemade Chocolate Chip Blondies are a cinch to make. I love cookies, but making bars is a fun switch. This is one of those recipes that you can just throw everything into the bowl, mix it up, and pour it into the pan. If you’re in a hurry to make something for the church potluck or treats to take to school, thirty minutes is all you need to whip these babies up. 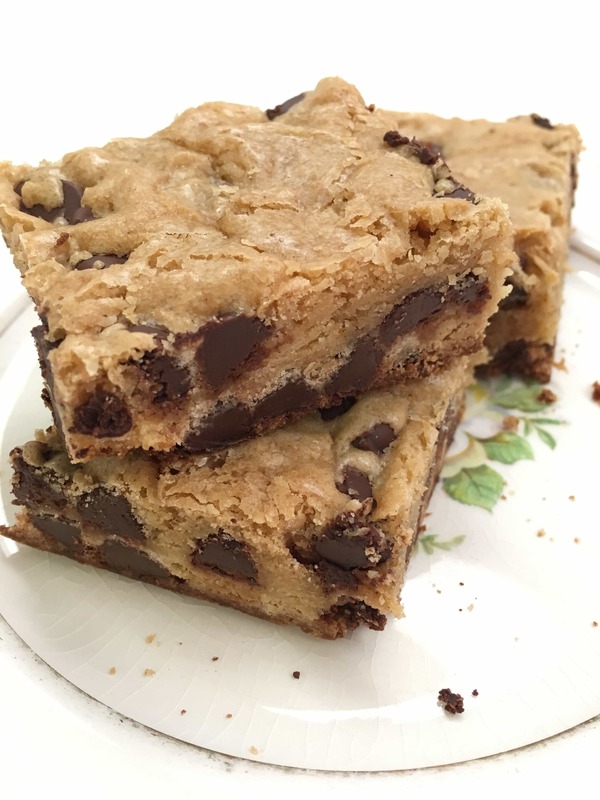 Thankfully, the recipe for the chocolate chip blondies is a large one, so you’ll be able to feed a lot of people. When you spread it into the pan, it doesn’t seem like it’s going to rise, but trust me, it will. You’ll be able to share the wealth with everyone (unless you’re like me and get a little hungry-greedy with the treats, sometimes). 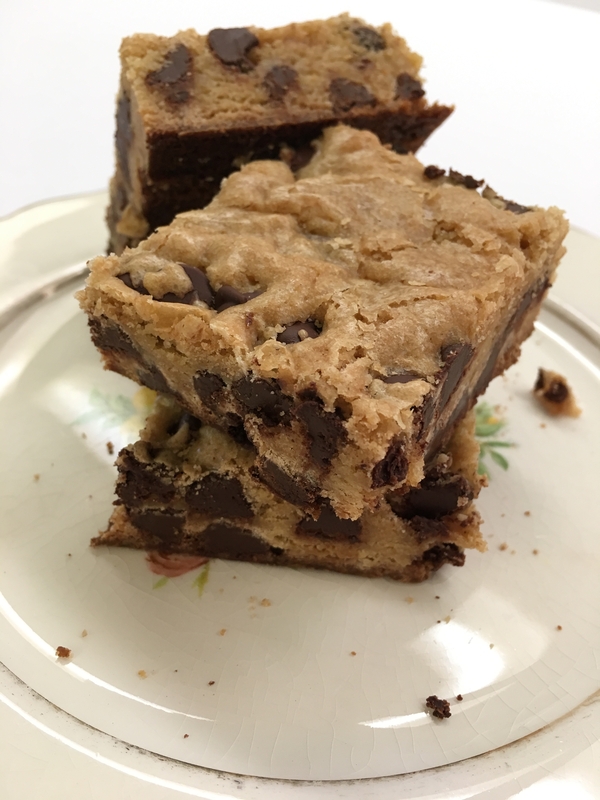 The chocolate chip blondies are a tad crispy on the outside and nice and chewy on the inside. If you want to change the recipe a little bit, it’s easy peasy. White chocolate chips will give it a more rich flavor, and pumpkin chips are a fun treat in the fall and winter months. Now, you’ve got me thinking about eating one of these with a nice hot cup of coffee. 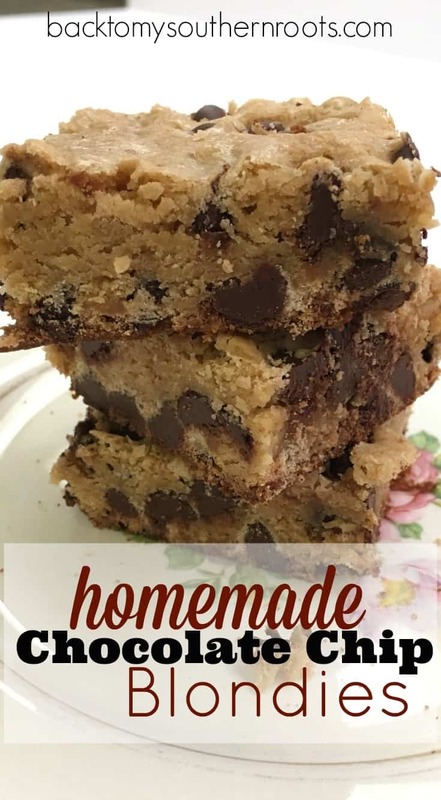 Grab the homemade chocolate chip blondies recipe below, and be sure to share a pic when you make them. and some Fresh squeezed summertime lemonade. Add the butter, eggs, vanilla, and brown sugar in a large bowl. Mix together. Add the flour, baking powder, and salt, and mix together. Add the chocolate chips and stir with a spatula. Pour into a greased 13" x 9" baking pan and bake for approximately 18 minutes, or until cake tester comes out clean.